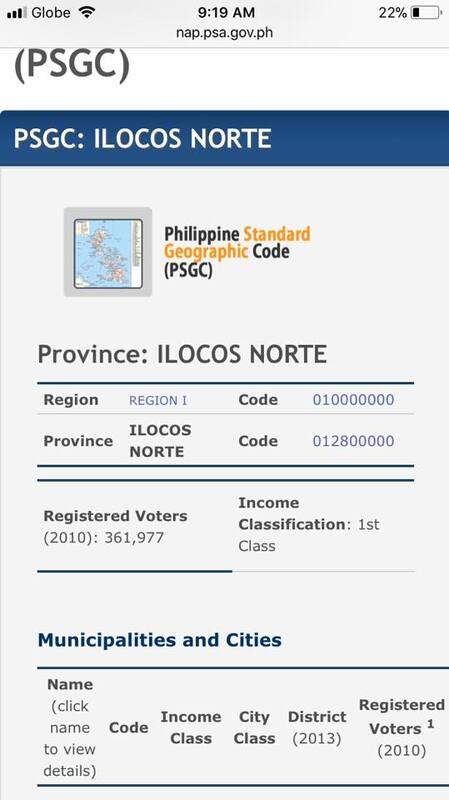 Vice President Leni Robredo proclaimed that provinces with rampant political dynasty in the 2016 elections have been consistently marked as one of the top poorest provinces in the country since 2004, one of which is the Marcos stronghold Ilocos Norte. But Governor Imee Marcos quickly debunked the Vice President’s claims with factual basis and news reports to back up her statements. 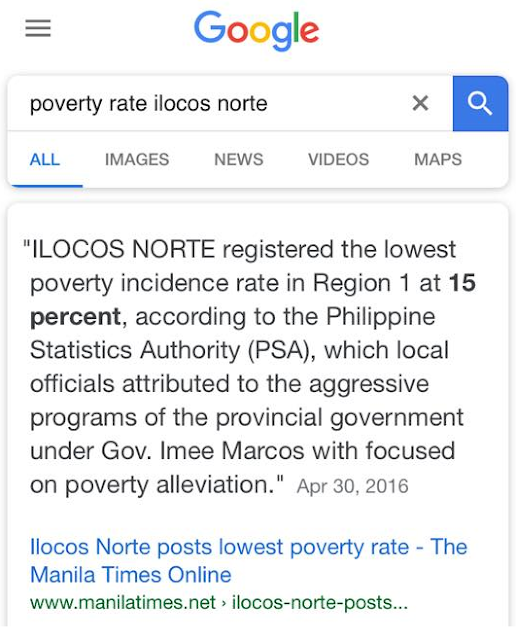 According to the United Nations Development Programme (UNDP), Ilocos Norte enjoys having one of the fastest declining economic inequality in the country. The province is even recorded to have the lowest poverty incidence rate in Region 1 at 15% according to 2016 reports of the Philippine Statistics Authority (PSA). 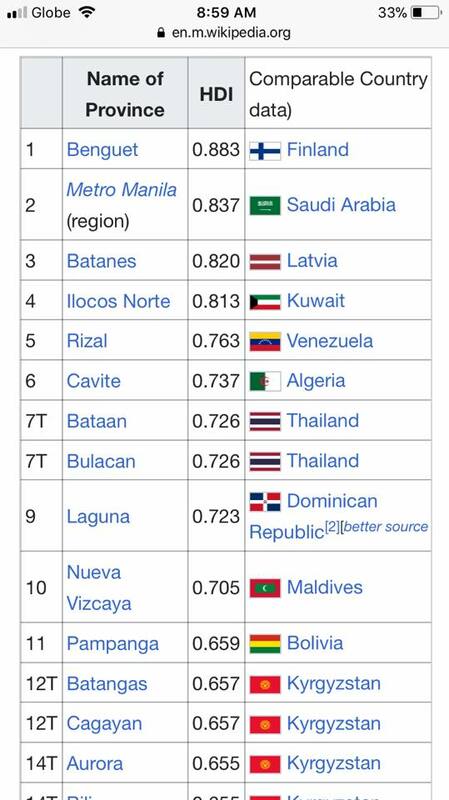 Ilocos Norte belongs to the top 10 highest Human Development Index in the Philippines and has one of the most progressive economies seen in recent years. It is classified as a First Class Province with the longest life expectancy due to efficient healthcare services and one of the best literacy rates due to effective education policies. 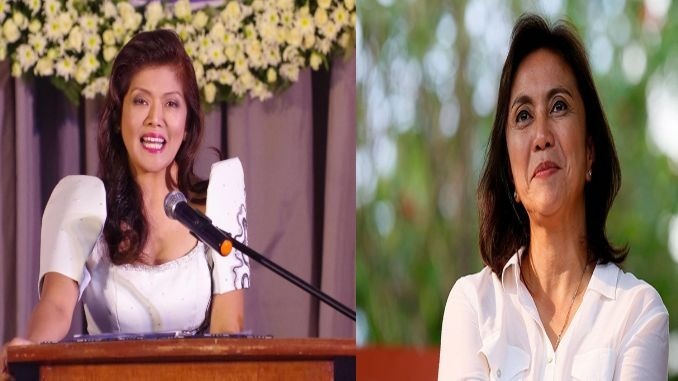 Robredo may have proclaimed what she wanted to proclaim, but Marcos was quick to lash at the staunch anti-Marcos figure, “Leni, you’re so road” in reference to a recently viral video of a young woman chastising a foreigner for being “rude”. We have one of the highest Human Development Index in the country in fact we are on the top ten, one of the fastest and most robust economy, listed as one of the provinces with the longest life expectancy, an enviable literacy rate, a First Class Province with a single digit unemployment rate lower than the national average, we have one of the fastest declining economic inequalities in the country according to UNDP and one of the lowest poverty rates in the country.